I’m an only child. 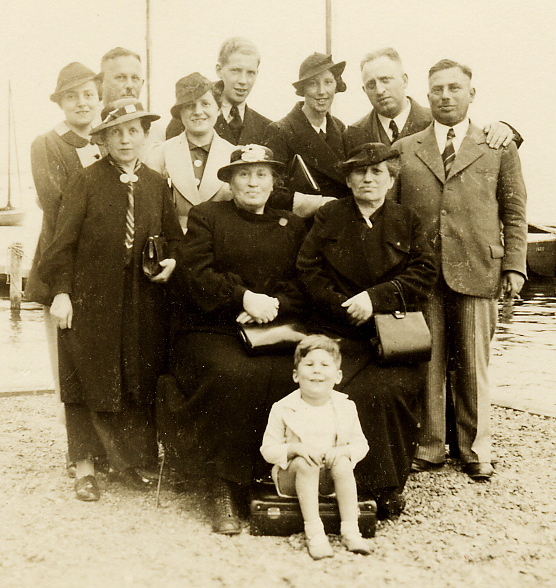 It was customary for young German adults during the Holocaust to have only one child—often none at all. “Why bring more Jewish children into a world like this?” my mother, Mutti, would often ask. Why, indeed. Papa had an older sister, Tante Beda, who married Ernst Lustig. No children. Papa’s younger brother, roly-poly Onkel Max, my favorite of all relatives, married Jenny late in life. No children. They all died of natural causes in the United States. Mutti was the oldest of three girls. The second, Karola, married Jakob Stern. No children. She died in the Riga, Latvia, ghetto on January 6, 1945. Perhaps Onkel Jakob did, too. Mutti’s youngest sister, Käthe — Mutti called her the baby — moved to Amsterdam and married a Dutch man, Isaak Wurms. Their only child, my only real cousin, Aaltje, was born in Holland on August 21, 1939, when Holland still seemed like a safe country for Jews. At the end of October 1939, shortly after Aaltje’s birth, Mutti, Papa and I, a six- year old “adventurer,” escaped from Germany. It all began with a visit to Mutti’s relatives in Amsterdam. We stayed with Tante Käthe and Onkel Isaak where I met Aaltje for the first and only time. I held the baby with great love. Everyone reminded me often that this was my only cousin. I couldn’t really play with this babe of two months. How does one “play” with a newborn? At best, one shakes a rattle in hopes of eliciting a gurgle. Did we roll on the carpet? Did I teach her a song? Surely, it was the clichéd love at first sight. Fred Amram is the boy in front. His mother, Sitta Amram, née Nussbaum, was daughter of Else Nussbaum, née Müller, born in Marisfeld to Nathan and Bertha Müller. Source: Family Collection. Early in November of 1939, my parents and I found our way to Antwerp, Belgium. I remember none of that journey which lasted only a few days. Some trains. Some walking. No other memories. I already missed Aaltje. The Nazis invaded Holland on May 10, 1940. We don’t know the details of the family’s suffering. Years later, however, while studying records at Yad Vashem in Jerusalem, I learned that on February 19, 1943, Aaltje, with her twenty-nine year old mother, died at Auschwitz. The Nazi killers had kept scrupulous documentation in a clear script. Aaltje’s age at the time of her murder: 3½. What can I tell about Aaltje Wurms? All I remember is that she was small, an infant, when I saw her last. I can only imagine her life story; what might have been. Might she have become an Anne Frank? A Nobel laureate scientist? Or, might she have become a housewife caring for her own children and grandchildren? She might have grown old, just as I did. She might have grown old with me to become my only cousin — just six years my junior. Parents gone. Uncles and aunts gone. Cousin Aaltje, gone. I am an only child. 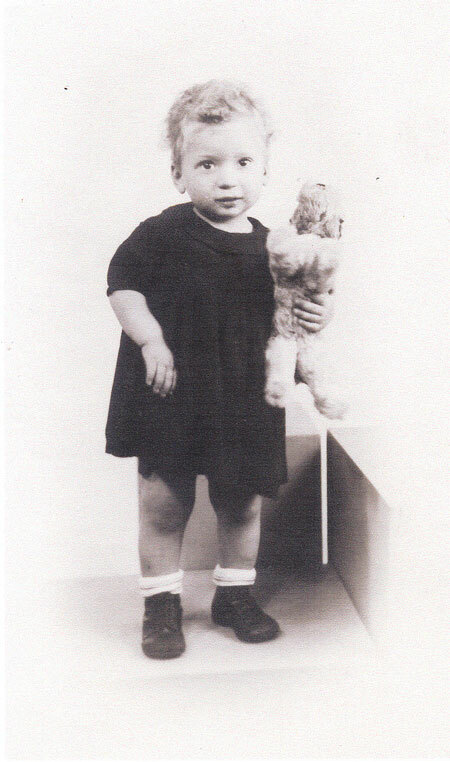 All I have left is the photograph of a child who did not survive the Holocaust. Reprinted with permission of Fred Michael Brick Amram. Many thanks. March 29, 2012 in What's New.